Game like the 90s never ended with a free SNES Classic on us! Today’s hot games like Fortnite are undeniably brilliant. Yet even with all their technical and visual superiority, there’s an equally undeniable allure to 90’s gaming classics. The simpler gameplay, evergreen concepts and a heaping helping of nostalgia drove a retro-gaming flurry last year with the September release of the SNES Classic. The rush to snag one of these gaming time machines was enormous…to the tune of over 5 million units sold. 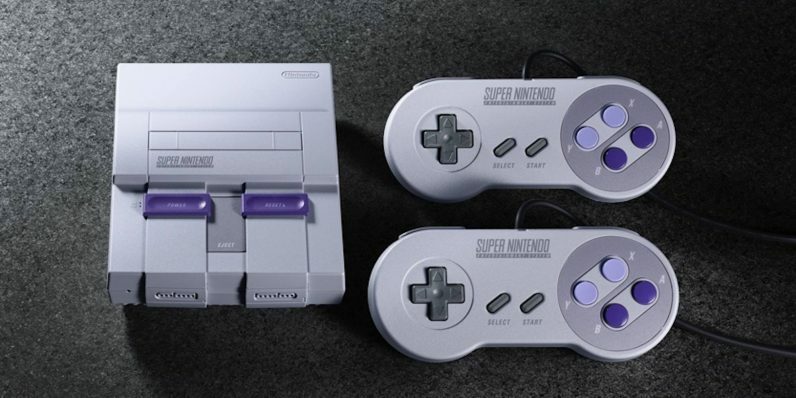 After selling out with lightning speed, Nintendo is giving the SNES Classic one last production run this year — and we want to make sure you get one with the Super NES Classic Edition Giveaway. The SNES Classic plugs right into your TV and comes fully loaded with 20 of the greatest SNES games from the console’s 90’s heyday. From Super Mario World to Street Fighter II to Donkey Kong Country, they’re the games you’ve remembered (or at least, heard about) for years with classic Nintendo controllers that probably still fit your hand like a glove. All you’ve got to do to make sure one of the last SNES Classics ends up on your home screen is go to our contest page and sign up. Your name will be automatically entered into the drawing and you could be the randomly selected winner who scores this ridiculously fun prize. You can also increase your odds with more entries by getting a friend or family member (21 or older) to enter as well. Just follow the “Additional Entry” instructions on the contest page. Enter to win right now from TNW Deals — registration ends July 15. Good luck!